Today we're starting another fun blog series for us - Flower Friday! brides as they plan their big day. Your ceremony is a key part of big day - the "I do" moment marks the start of your new life together. 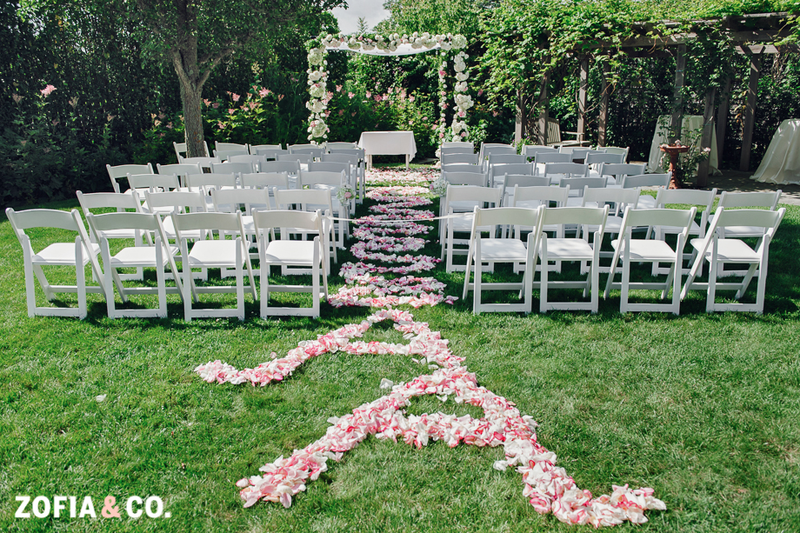 Making the choice, if budget allows, to make a big impact in your ceremony design is a decision that you won't regret. 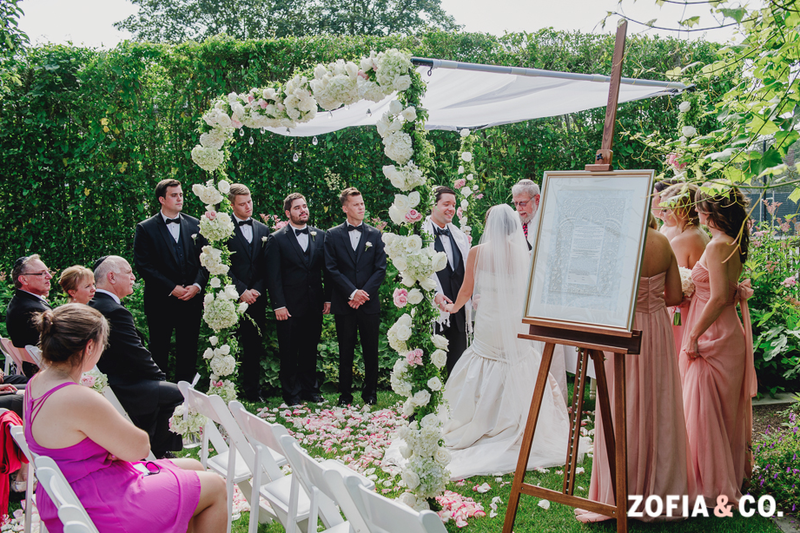 This bride chose a lush chuppah and a petal aisle with their initials - it makes quite the statement, doesn't it? It's also the small details that count, too. We strung crystals at the top of this chuppah, creating a little sparkle and making for a great detail shot for your wedding album. A version of this can be done no matter your wedding style - romantic, rustic, modern, or vintage. Variations on this idea can also be created with a budget in mind. 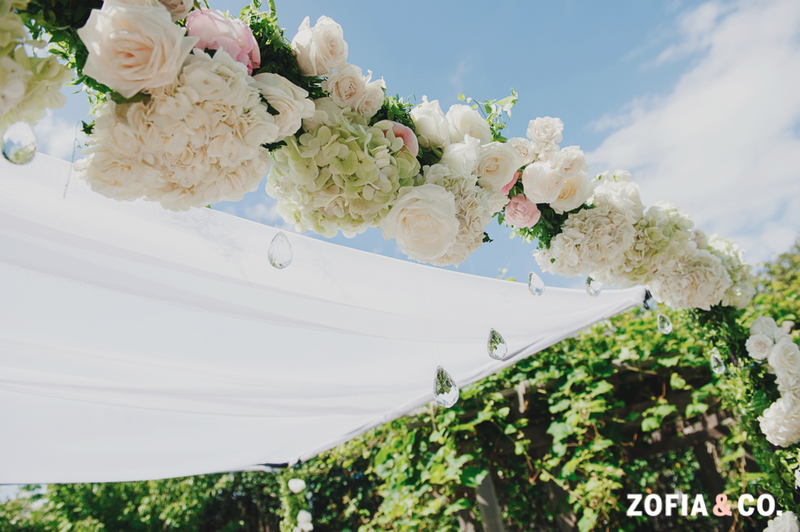 All of these images are by the lovely Zofia & Co. click here to see more details from this gorgeous wedding. We look forward to sharing more wedding details with you on Fridays!